Cologne - We're a quarter of the way through the 53rd Bundesliga campaign! Certain players have broken records and hit best marks, but the 18 clubs have also made a name for themselves in the statistics department. 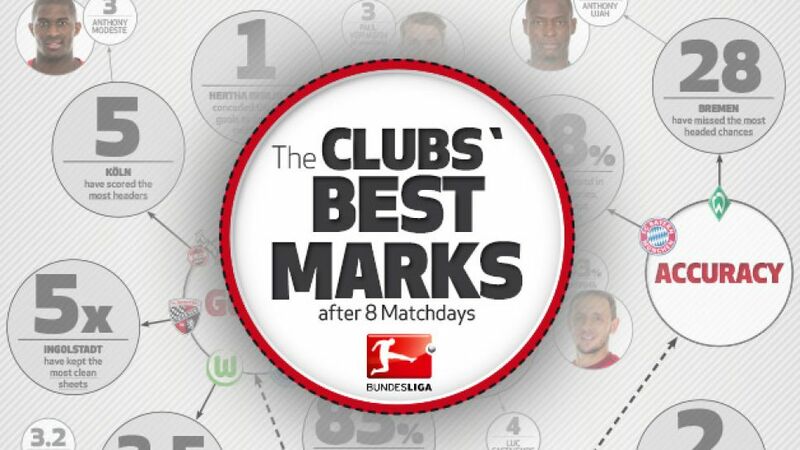 bundesliga.com breaks down the best numbers to emerge from the 2015/16 campaign.